People contemplating divorce are faced with many issues of both personal and legal nature. The legal issues facing those contemplating divorce can be complex and daunting. One issue that comes up many times during divorce proceedings is bad conduct and the impact it will have on the proceedings. This article will provide a brief overview of bad conduct and the impact that it has on divorce in Nevada. Bad conduct is a broad term that can encompass many different actions or behaviors. In Nevada, some of the leading forms of bad conduct that lead to divorce include infidelity, financial conflicts, and emotion and/or physical abuse. Nevada is a no fault divorce state. This means that the spouse who is filing for divorce does not have to prove any fault or bad conduct on the part of the other spouse. This means that if Spouse A was committing adultery, Spouse B does not have to prove the infidelity in order to get a divorce. However, just because Nevada is a no fault state, that doesn’t mean that the bad conduct of one spouse will not impact the divorce proceedings. 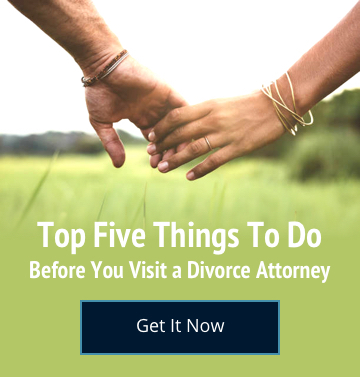 To continue the example from above, Spouse A’s infidelity may factor into the divorce court’s decision as to custody of minor children and division of assets if marital wastes can be proven. For instance, say that during the course of Spouse A’s infidelity that he/she spent large amounts of money on the boyfriend/girlfriend. This may constitute marital waste. In applying Nevada law to the example above, the court, if it found marital waste, could potentially offset the amount spent on Spouse A’s affair with the amount that Spouse A would receive from the distribution of assets. To make the example more concrete, let us say that Spouse A spent $15,000 on his/her boyfriend/girlfriend. The marital assets to be divided and distributed to the spouses amount to $100,000. The court could potentially distribute $65,000 to Spouse B and distribute $35,000 to Spouse A as a result of Spouse A’s bad conduct. The impact of bad conduct may also be felt in custody determinations. Let us alter the hypothetical from above. Let us say that Spouse A still engaged in an affair which led to the dissolution of the marriage. However, Spouse A knowingly engaged in sexual relations with his/her partner when Spouse A and B’s minor child was present. The minor child observes the conduct and is negatively impacted thereby and consequently needs therapy/counseling. In this example, the court may take this conduct into consideration when making its custody determination. Spouse A’s bad conduct could potentially lead to him/her receiving an unfavorable custody ruling. In conclusion, because Nevada is a no fault divorce state, fault or bad conduct does not need to be proven in order to obtain a divorce. However, the bad conduct may have a negative impact with regard to the divorce action’s underlying proceedings. Bad conduct may result in an unequal distribution of the assets of the marriage in favor of the innocent party. Furthermore, bad conduct may result in an unfavorable custody determination depending on the nature of the conduct and the impact that it had on any minor children involved.